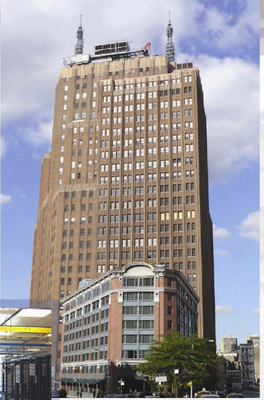 New York's newest carrier neutral data center is CRG West's 32americas facility located at 32 Avenue of the Americas. The 50,000 square foot facility will deliver the power and peering opportunities companies need to reduce costs and manage their network. You may recall an earluier entry about CRG West's One Wilshire building. CRG West's new 50,000 square foot New York colocation facility offers up to 150 Watts/SF and has connectivity to the building's existing meet-me room which has over 50 carriers, networks and service providers. Customers can license single 7-foot cabinets or up to 10,000 square feet of customized cage space. 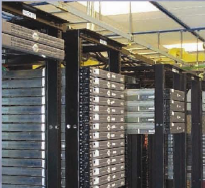 One of the key advantages to the New York colocation site is its ease of geographic access. The facility is centrally located in New York City and has close access to the subway system. The CRG West team in New York will further offer excellent peering opportunities (including the Any2 Exchange) and reliable remote hands services. Expect other typical high-end data center features such as biometric access, turn-key equipment install, mantraps, 24x7 secure access, CCTV surveillance and DC power if needed. I am looking forward to touring the data center at some point in the future. As always, the worst part of these tours is that I am not allowed to write about any of the customers I see. Those lawyers have really taken all the fun of data center and carrier hotel tours. For more information, send them an e-mail. turn-key equipment install, mantraps, 24x7 secure access, CCTV surveillance and DC power if needed.